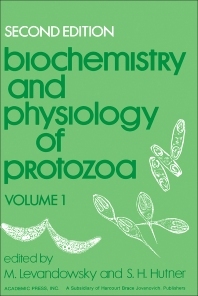 Biochemistry and Physiology of Protozoa, Second Edition, Volume 1 is organized into 13 chapters, beginning with a discussion on fine structure and phytogeny of phytoflagellates. This book discusses the structural features of protozoan cytochromes. Subsequent chapters explain sterol and carotenoid distributions in various groups, phycobiliproteins in cryptomonads, halotolerance in Dunaliella, physiology of coccolithophorids, the ameboflagellates, and bioluminescence of phytoflagellates. This edition also describes the most severe and best known of the toxins, saxitoxin, produced by species of Gonyaulax. Lastly, the physiological ecology of red tide flagellates is explained.